The first instalment! 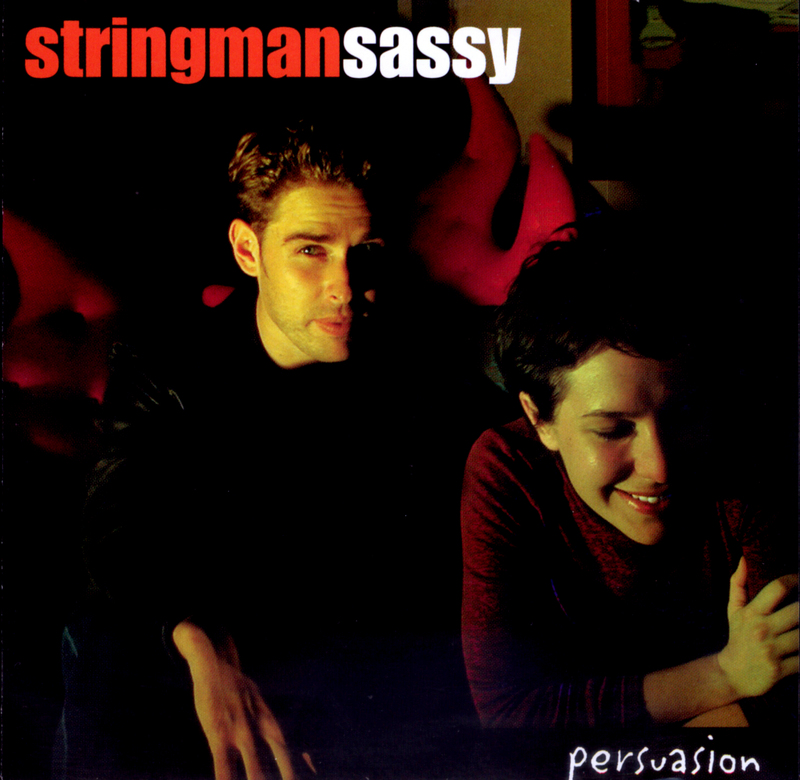 Persuasion is a true extension of stringmansassy’s performances early in their career. It is a collection of their first original songs and early efforts at songwriting, and it features some of the unique arrangements of covered songs they became renowned for. Ambient, intimate and atmospheric, Persuasion was recorded ‘live’ in 2000, by Daniel Fournier at a cabin at Ballandean (via Stanthorpe, Southern Queensland, Australia). Persuasion was launched by the then Queensland Premier (Peter Beattie) at the Australian Pavilion at World EXPO 2000 in Hanover, Germany. In 2001, it won the Best New Talent category and was nominated for the Best Jazz Recording at the Queensland Recording Association SUNNIE Awards.